Prayas came into existence in 1988 in a disaster situation when a devastating fire broke out at Jahangirpuri, one of the largest slum resettlement slums of Delhi, destroying thousands of families who lost their homes and livelihood. The worst affected were the children, who were absolutely traumatized and shaken. Its immediate efforts were to restore normalcy into their lives and rehabilitate them. Subsequently, Prayas continued to grow in its outreach and need-based projects by responding to various socio-economic realities that emerged with each community-based intervention. For over two decades now, Prayas has been and continues to be involved in meaningful, development driven initiatives that distinctly impact the quality of life of the weaker sections of the society, surrounding hundreds of slums / villages in and around and the national capital region of Delhi, Bihar, Gujarat, Assam, Arunachal Pradesh, Haryana, Jharkhand and the Tsunami devastated Andaman & Nicobar Islands, addressing the marginalized and poorest among the poor. Prayas today undertakes various programs and functions through 236 community-based centers, with an outreach of 50,000 beneficiaries, including children, youth and women addressing the multiple issues and programs relating to child protection and juvenile justice, trafficking of children and women, vocational and life skills training, empowering women through Self Help Groups and Income Generation Programmes, promotion of entrepreneurship, facilitating credit through bank linkages and also direct micro finance operations. 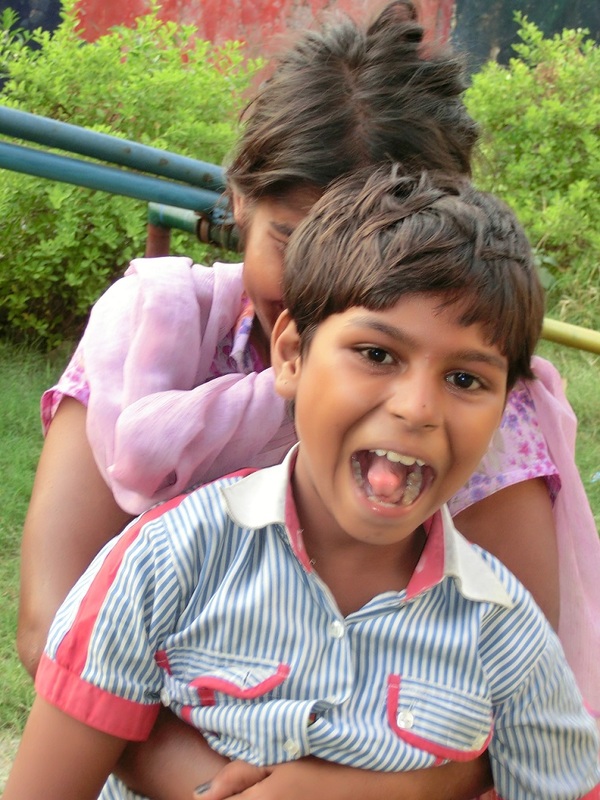 Prayas believes that needs and rights of children are synonymous. These rights of marginalized children get further accomplished through empowerment and capacity building of their families and communities. This empowerment process is an inclusive strategy of transformation of the marginalized segment of our country. Hence, Prayas strongly promotes livelihood and economic empowerment in all forms along with the package of integrated developmental programmes for marginalized children, youth and women. Ashwani Gautam is a best example of our negligence system, society & family. His family was also uprooted from Bannuwall Basti near Rani Bagh to Bawana JJ Colony. His family was in deep stress & father lost the job and forced to stay in open area with inhuman condition in the slum of Bawana resettlement colony in grass hut, which was open to water flooding, extreme heat and possible fires. Finally after 1 year DDA allotted an 18 mtr. piece of land permanently. Ashwani like other children was also neglected by the families and Govt. too, he was out of school because there was no school in Bawana resettlement colony, even all other children who were attending govt.’ schools were out of school and the parents in the struggle of livelihood close the eyes towards the children’s education and nearby schools were also not ready to accept these kids due to the mindset & residence documents. As a result he was roaming as gypsy like other children. Raina Prayas Educator encouraged him to join NFE centre, when he was roaming with his friends nearby centre. Educator made home visits and convinced his parents to send him to the centre and he became part of our family. In 2008 he appeared in entrance test for class VIII but unfortunately could not clear the exam. It was his passion towards the education that in 2009 he successfully passed the entrance test and selected for classes VIII in Govt. school, but stills he had to pass his real exam “get admission in school and acceptance by the classmate”. As expected, school refused to give admission, after the intervention of Raina Prayas & Education Officer, Govt. of Delhi, he finally got admission in class VIII, but problems never end for him, teacher and classmates’ daily make tones (Kabadi, Colony Wale Ladke) that he belongs to the slum and have no right to join school outside of colony.It was his self-confidence that he never looked bake and passed VIII, IX, & X from the same school in very difficult circumstance and presently he is studying in class XI.His ambitions are very high & wants to become a CA, to fulfill his dream into reality he opt Commerce in class XI. Rukhshar belongs to a very poor family, leaving in Bawana JJ Colony with her family, In the name of Slum free Delhi her family along with the thousands of other families reallocated to Bawana Resettlement Colony from Yamuna Pusta in the year 2003 by Govt. agencies without basic human amenities. There were no proper houses, road, electricity, drinking water toilets, and above all school for children in the community and she was also forced to stay at home and follow the Muslim tradition. Parents in the struggle to search the means of livelihood also could not make any efforts to find a school for her. In door to door survey for enrolling slum kids in NFE by Raina Prayas team, they met Rukhsar & her mother, in the beginning her parents strictly denied and after regular interaction and counseling finally her parents were convinced and Rukhsar became a part of Raina Prayas. She was very fond of dancing and actively participated in different cultural & other activities along with the studies. Life was full of throne for her & her family when they twice suffered from fire accident and lost important documents, savings and all other belongings. It was her passion towards the education that she never looked back and continued her classes while her family was again against her education. The confidence, which was seen in her after 3 years of learning in Raina Prayas, was remarkable she appeared in entrance test in 2008,organized by Education Department Govt. of Delhi for mainstreaming in Class VI, and she successfully passed the examination but problems never ends for Rukhshar due to the some documents and long distance from home, school refused to give admission after the intervention of Raina Prayas finally she got admission in Class VI and it was like a dream come true for her & her family.Presently she is in Class X and wants to become a social worker, to change the mind set of her Community. Shaliya Khatun a 49 yrs old lady living in Slum of Bawana, she has 4 children and no source of regular Income as they were relocated from Yamuna Pusta her husband started rickshaw pulling but income was not sufficient to meet out their need. Then she came to know about the Raina Prayas and its SHGs activities, she joined Muskan Self Help Group in 2005 and started saving Rs. 50/- every month. As her husband’s income was not enough, she decided to help the family after a year she took Rs. 5000/- loan to open a tea stall in locality and she started earning Rs. 100- 150 daily. After the repayment of her first loan she took 60000/= (10000+25000+25000) and settled her land dispute in village and owner of a piece of land in her native place. In October 2011 she paid all the dues of loan amount. Presently her one girl passed XII Class, and son and daughter studying in XI and IX Class, She is planning to send her daughter to collage for higher study.